We are excited to announce that PAIT Group has been named a Cincinnati Business Courier 2019 Fast 55 Finalist. 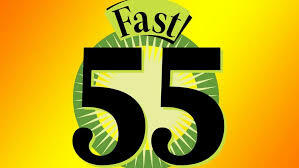 Year over year the Cincinnati Business Courier acknowledges the fastest growing private businesses in the Cincinnati area with its Fast 55 awards. Stephanie Donahue, President, and Mark Rackley, Chief Strategy Officer, both noted " We are honored and proud to be recognized as part of the strong tech startup community here in Cincinnati, Ohio." You can view all 2019 Fast 55 Finalists here.